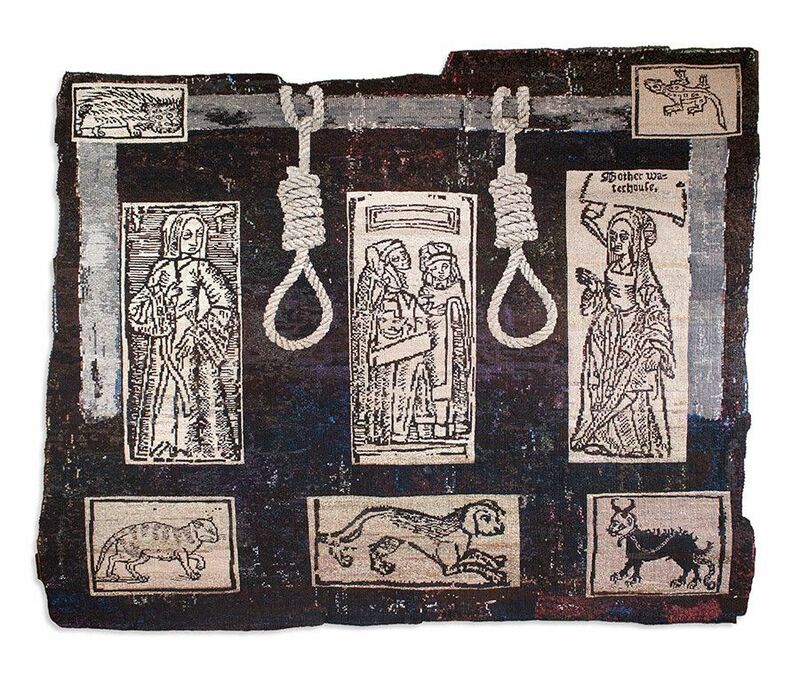 Textile artist Anne Jackson explores ideas of witchcraft in a series of contemporary knotted tapestries which brings the bygone persecution of women in Devon and beyond, to life. Dramatic individual stories are displayed alongside artefacts from the past - revealing themes of cultural power, fear and belief in ‘magic'. 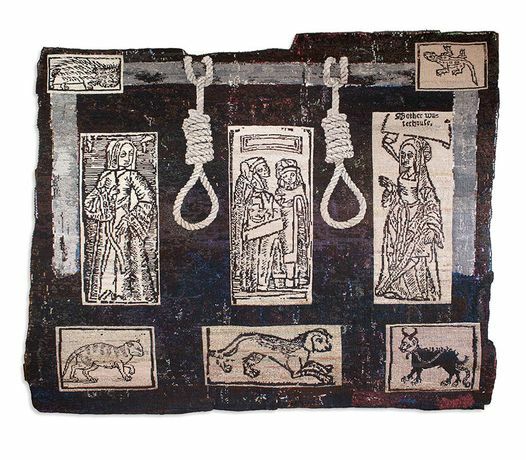 Textile artist Anne Jackson explores ideas of witchcraft in a series of contemporary knotted tapestries which brings the bygone persecution of women in Devon and beyond, to life. Dramatic individual stories are displayed alongside artefacts from the past - revealing themes of cultural power, fear and belief in ‘magic'. Related events include launch event 22 March, a day conference, performance and workshops. See website for details.